It has been 15 amazing seasons in the WNBA and 17 overall as a professional basketball player, but the incredible journey began long before that for me as a youngster in Logan, Ohio. That love and passion for the game of basketball drove my competitive spirit and is the reason I worked so hard to excel at this game. Basketball has taken me from the Bobcats, a fifth-grade all-boys team, to nations far and wide. I got to play for my home state at The Ohio State University, had the honor of representing my country in three Olympics, and won championships in the WNBA, but most important, I will always cherish the incredible people who have come into my life. The past few days have been a whirlwind of emotions and memories. It all started with the WNBA Inspiring Women luncheon on Monday. It was a great gathering of powerful women who are working hard to make a difference in the world. Then there was the Nike reception later that night, which was a blessing. I have been a part of the Nike family ever since I graduated from OSU, and they have always been a big supporter of mine. Finally, the New York Liberty put on an amazing ceremony before the final home game. I can't thank them enough for the love and support they showed me, especially [vice president of marketing] Kristin Bernert. 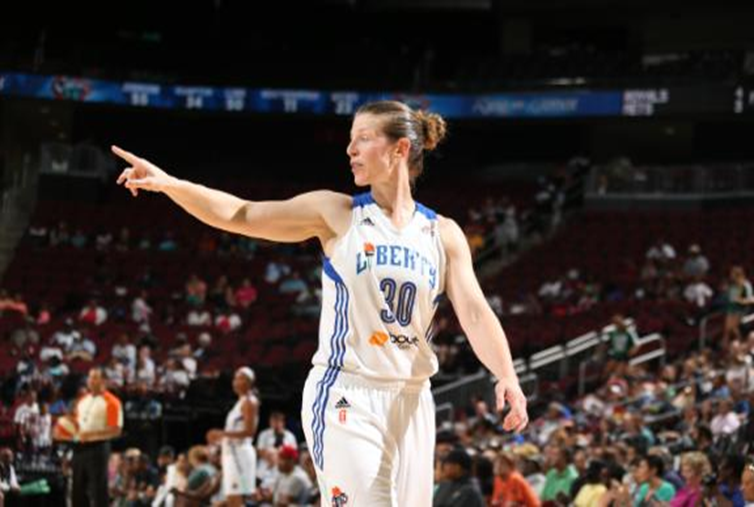 The Liberty are a first-class organization, and they made my final year in the WNBA very special. It made me so happy that people made the effort to come out and support me. My mom and dad made the trip from Ohio, there were a few friends from USA Basketball and Nike, and to have [WNBA commissioner] Laurel Richie there was great. The presentation was incredible, and I really appreciated the love because they didn't have to do that. The old-school highlight footage was classic! I got a chance to not only see the evolution of my game from high school to now, but the '90s hair was too funny. Everything that was done the past few days to recognize my career has reminded me of the special friendships I have made through basketball. I feel so blessed and appreciative that anyone would take the time out to do something for me. It's been a great ride!